Is there someone you love that, also, loves lattes? Then, this is the perfect card to say, “I love you.” The warm feeling of a cup of coffee even on a card will surely bring a warm smile to anyone’s face. 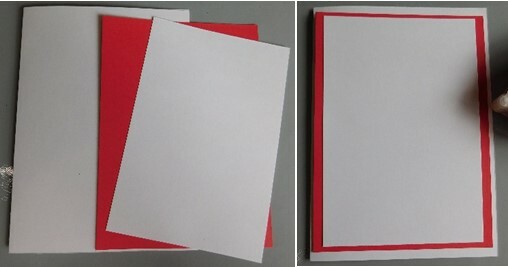 Begin by using your paper trimmer to cut a 5” x 7” card base. 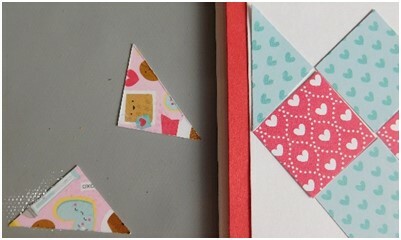 Also, cut a 4 ¼” x 6 ¼” piece from cardstock and a 4” x 6” piece, as well. 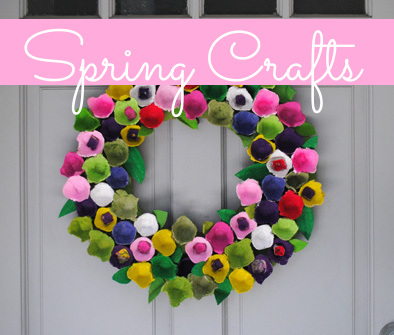 Layer them on top of the card base and adhere each piece using a tape runner. Lay the card aside. 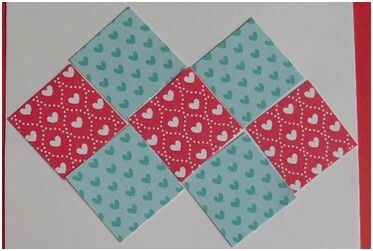 Now cut nine 1” squares from two different designs of patterned paper. 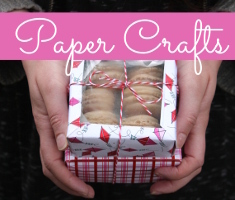 The paper shown is the Cream & Sugar line by Doodlebug. 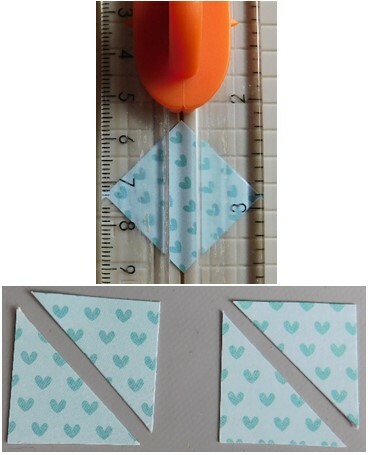 Take two of the squares and place them diagonally in your paper trimmer and cut them. Lay these pieces aside. Arrange the remaining 7 squares on your card base as shown. 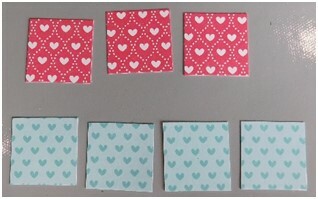 An easy way to do this, is to place the top squares (the blue hearts here) into position first and then place the remaining squares in the middle. You can adjust them around as needed. Attach each one using the tape runner. On each side of the pattern attach the pieces that you cut in half previously. The longest edge should meet up with the edge of the 4” x 6” piece of card stock. 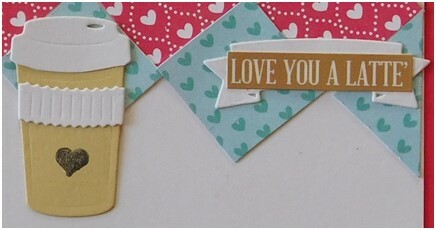 Die cut the pieces of the cup and the banner using your die cut machine and the Hipster 1 die set by Spellbinders and add them to the front of the card. 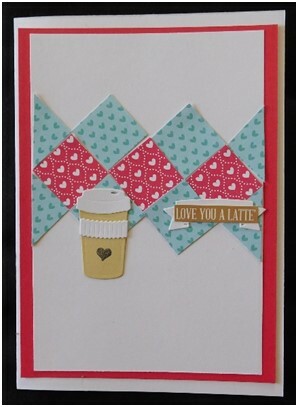 Stamp the heart onto the cup and attach the “Love You A Latte” sticker from the sticker sheet to finish off the card. Share your love and the love of lattes with someone in your life. 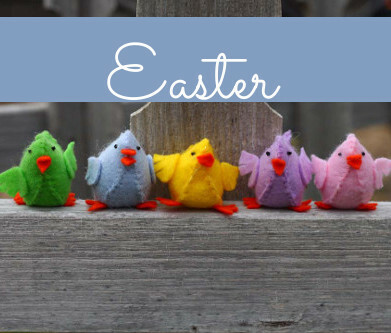 Add a gift card to the inside for his or her favorite coffee shop. 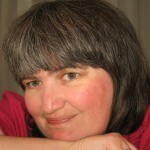 It’s the perfect way to pay it forward and there’s no better way than a nice, hot cup of coffee to go with it? This entry was posted in Cardmaking, Crafts, Paper Crafts and tagged All-Occasions Cards, Die Cutting on July 17, 2017 by Peg.